Four years ago this month, the northern Iraqi town of Qaraqosh, or Baghdeda in the Syriac language, was invaded by the Islamic State group, forcing most of its population to flee for their lives. Prior to IS’s invasion, 50,000 Christians resided in Qaraqosh, 97 percent of the population. 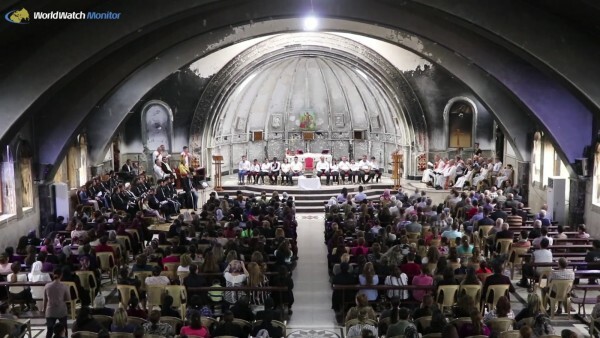 October 2016 marked the liberation of Qaraqosh from Islamic State; since then about 5,200 families (25,000 individuals) have returned home, according to Christian charity Open Doors International. In this video, local Syriac Christians share what it was like to return to a “ghost” town and how they see the future of Qaraqosh. The footage of March 2018 was obtained from a local partner of Open Doors International.